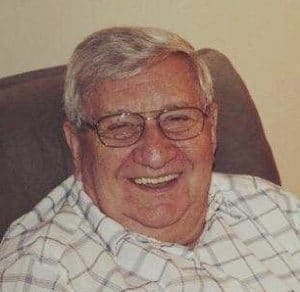 Russell Eugene Waddell, age 84, of Avella, went home to be with his Lord on April 2, 2019. He was the beloved husband to Harriet Waddell for 63 years; loving father of three sons, Arnold (Josephine) Webster of Avella, David (Darlene) Waddell of Maui, and Curt (Patty) Waddell of Avella; cherished grandfather of 9 grandchildren, 14 great grandchildren and 3 great great grandchildren; dear brother of Kay (Richard) Smith,Helen (Joe) Jacobs, Paul (Jane) Waddell and the late Loretta Greer, Geraldine Waddell and James Waddell. Also survived by many nieces and nephews. He was devout member of Friendship Community Church. He was employed at Pennsylvania Drilling for 44 years, the last 14 years he worked for John Sisson Motors in Washington. Russell enjoyed fishing, hunting, attending dirt track races, spending time with his grandchildren, and sharing it all with his loving wife. To the Waddell family we send our condolences and hope that you find peace and comfort during your time of mourning. Signed, The Fries Family. George, Mary and Devin. To Harriet , Curt and all the family. I am so sorry that Eugene is gone from us, but knowing he is in a better place. Just think of him being with Mom, Dad, Loretta, Dean, And his brother he never saw. I love you all and hope we all meet in Heaven someday. Sorry for your loss Waddell family. Curt and Family, Very sorry to hear of your Father's passing . He was a really good person . I enjoyed when I used to get to talk to him at the Polar Star fields. God Bless you all.